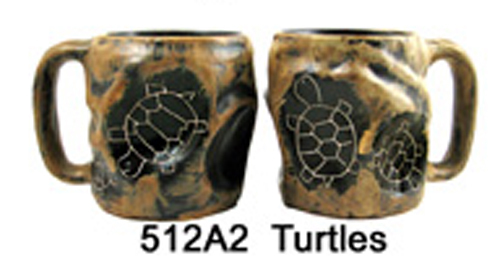 If you're looking for unique stoneware coffee mugs, you've found them. 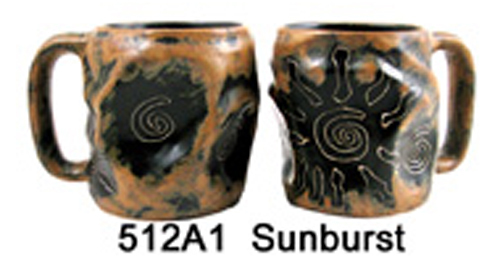 These beautiful handmade mugs are individually made and etched by an artist. 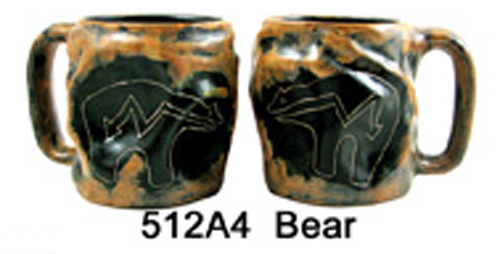 Made to look like rocks with petroglyph-like designs and etchings, these unique mugs make a great novelty gift for that special person in your life. These mugs also make a great family gift. Pick and choose among them and order a different stoneware coffee mug for each person in the family. If you order four or more, we will also send a complimentary wooden mug tree if you indicate that you want one when you place your order. Available designs appear below. Each mug is 12 ounces and is made by an artist. Stoneware coffee mugs will keep your java nice and warm, especially if you warm it up first by filling it up with water and putting it in the microwave. Once the water is hot, empty it out and fill up your cup with coffee. The photos of these unique stoneware coffee mugs do not do them justice. Get yours today!